How internal pricing discussions and negotiations can destroy margins...with no help from customers or competitors. 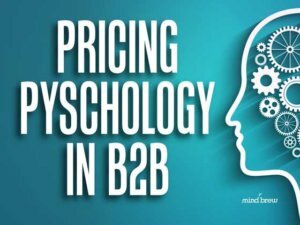 The top ten strategies and practices recommended by the PricingBrew Network of pricing practitioners and consultants. The most common reasons for internal disagreement and debate around price levels and customer-specific discounts. How to become a master of influence inside your organization and drive better pricing outcomes with far less conflict. Managing Your "Minimum Advertised Price"
Many manufacturers have augmented their channel strategies with MAP (Minimum Advertised Price) policies. While not a panacea, MAP policies can mitigate many channel control and conflict issues. In this guide, we expose 20 strategies and tactics for more effective MAP policies and programs. In this step-by-step tutorial, learn how to conduct marketing research---the only reliable way to gain the meaningful and actionable insights you need for effective strategic pricing. Simple pricing structures can hurt revenues and profits when they fail to align customer value and costs. This case study demonstrates how to identify the right "unit of value" for both pricing and costing purposes.